The post Rotimatic – Roti (Indian flatbread) Automated appeared first on Vegan Richa. This post is sponsored by Rotimatic. Rotis are an important part of an Indian home cooked meal in many regions in India. Freshly made flatbread served with the dals, veggie sides, and curries. Rotis are the carrier of all the amazing food. Rotis, also called Chapati, phulka, rotli, vary in terms of thickness and some additions to the dough. 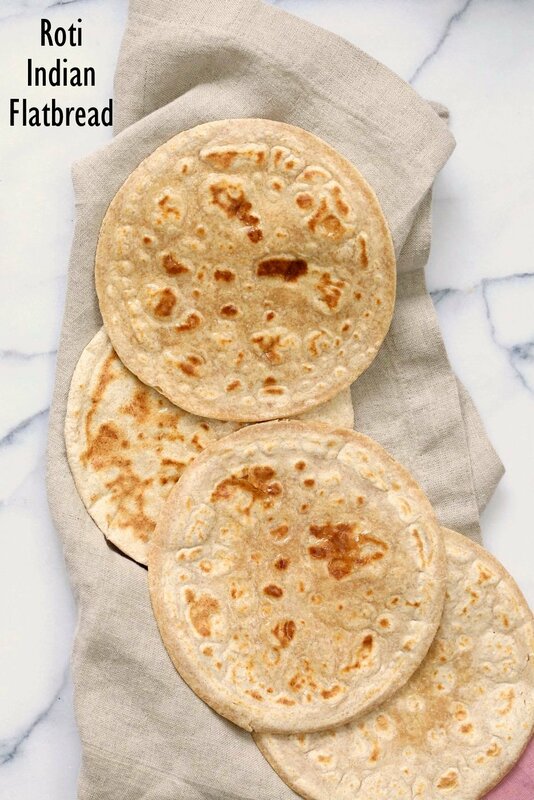 In general, the flatbreads served are made of whole wheat dough (called atta), they are rolled out into thin flatbreads that are cooked on a hot griddle or tava and puffed either on the tava or on the flame. Often the rotis will puff up fully to make a balloon filled with hot air. Indian Restaurants here (in the US) rarely offer the traditional Rotis. The flatbreads generally offered are Naans, parathas and tandoori Roti which is somewhat like Naan. The thin light fluffy traditional Rotis or chapatis can sometimes be found in a few restaurants that offer home style food.